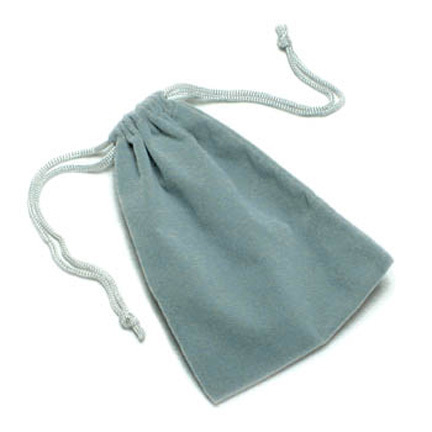 Drawstring Jewelry Pouch Silver 2-3/4" x 3-3/4"
Silver Cloud suedine pouch is ideal for charms, rings, necklaces, etc. 2-3/4" x 3-3/4". Price per 10 pouches. SALE! Was $3.00 per pack of 10 pouches, now just $1.50 for 10! Hurry, get in on this great deal while supplies last!